The military arm of the Communist party of China, and the armed forces of the Peoples Republic of China. the PLA is the worlds largest military force with over 3 million members. Military service is now compulsory for men who are 18. The Thought Reform Campaign was ment to re-educate people into thinking that the Communist Party was great and Mao Zedong was almost like a god like figure. They did this by making people criticise themselves and others and struggle sessions where they could beat people until they confessed their crimes. People now call worshiping Mao 'Maoism" because it was a belief. This was the day the China Signed a Treaty with the Union of Soviet Socialist Republics (USSR). Mao himself traveled outside of China into the Union to sign it. This was the first and last time Mao will ever leave China. This dealt with many issues but a big one is the $300 million loan from the Soviet Union to the Peoples Republic of China. When the civil war broke out in korea the People's Republic of China were supporting the North Korea and the United Nations were supporting South Korea. 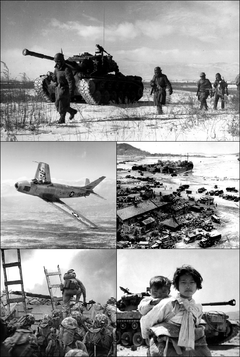 in 1953 it was ceasefire in Korea. This plan was to generate more industrial growth and socialisation. They got the idea from the Soviets. Let one hundred flowers bloom and one hundren schools of thought was to let people express what they really thought about the communist party. People felt like this was the first time in a long time that they could really say what they felt, but then when they started saying bad things it was classed as anti- revolutionary. This was the end of the Hundred Flowers Campaign because the idea backfired on Mao and people were saying bad things about the Communist party and what they really thought of it. This sparked an anti rightist movement which wanted to get rid of people who liked Capitalist ways. The three bad years of famine consisted of a great drought, poor weather, natural disasters, and on top of all of that the policies from the communist party made it even more difficult. It is not known how many deaths occurred by it varies from 15 million to almost double that. They joined farms together to improve production rates. They heard Mao say "people communes are good," when really he was just reading a sign. But it did improve production rates. People were inspired by it and everyone wanted to be a member. End of both three bad years or famine and Great leap forward; thirty million Chinese people are dead. The development of Nuclear weapons was done after the Soviets had left. Mao's little red book, formally known as 'Quotations from Chairman Mao Zedong' was a book filled with quotations, speeches, and phrases that Chairman Mao Zedong. It was a massive motivation to the Chinese people and almost everyone in China had one. After being sent away for over 10 years to work in a factory during the Cultural Revoloution he returns back to government and resumes his duties as Vice-Premier. The Four Modernisations was a goal to improve the fiels of agriculture, industry, national defence and science and technology. Improving these was ment to rejuvenate and boost China's economy. Hua Gofeng is promoted and Deng Xiaoping is relieved of all posts. Hua Godeng is formally named Premier and Vice Chairman of CCP as Mao is starting to become ill; Deng Xiaoping relieved of all posts. 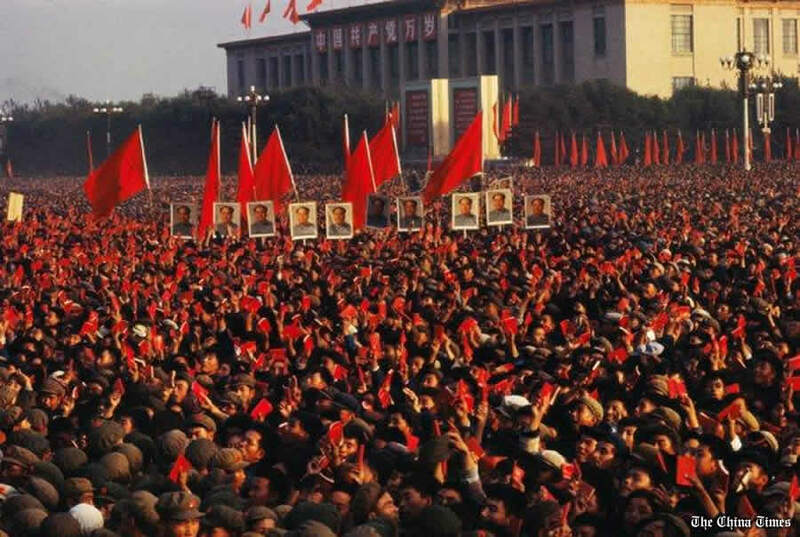 After Mao died the whole country was shocked and was very, very sad and many people attended Memorial services. 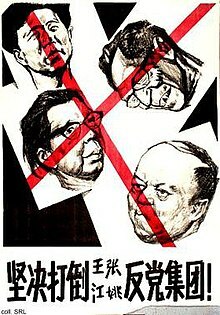 The Gang of Four were a group od Communist Party officials and were arrested because they were extremists, and had too radical idea's, and they were labeled as counter-revolutionists. One member of the gang of four was Mao's wife Jiang Qing. 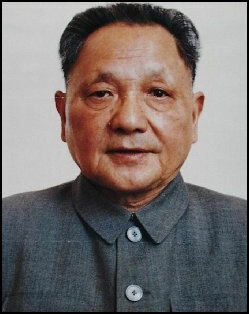 Deng Xiaoping had a reputation and after the gang of four arrested people started to support Deng Xiaoping more. He was seen as a man who kept coming back to the party even after he was sent to re-education camps. In 1977 he was promoted to vice-chairman. Whilst Deng’s popularity grew and was becoming more and more liked, Hua Guofeng’s popularity was becoming worse. 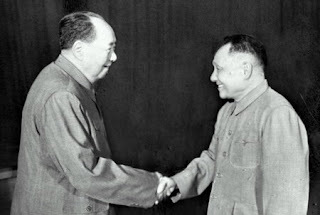 In 1978 Party officials were calling for the leadership of the CCP to be given to Deng. After the Great leap forward Mao wanted to enforce Communism more and destroy capitalist, traditional and cultural elements from China. 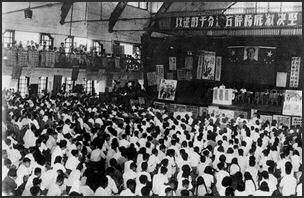 The youth of China responded rapidly by forming the Red Guard. The term 'The Four Olds' first appears. The Four Olds' ment Old habits, Old customs, Old culture, Old idea's. 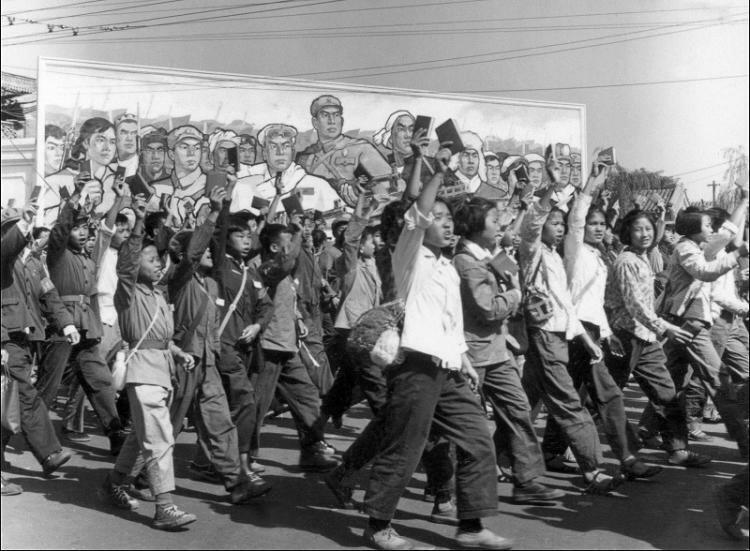 Shortly after the cultural revolution started this term was being used more and more. The Red Guards were made during the cultural revolution by Mao and their goals were to start a movement to expand communism in China. They were considered as Mao's Army and they would destroy any capitalist, traditional and cultural elements from China to be part of the revolution. They killed 400, 000 people because they were supposedly 'counter revolutionary.' Most of the members in the red guard were peasants and youth. Some had military background and some were just farmers. People wanted to destroy the four olds (Old habits, Old Ideas, Old customs, Old culture). 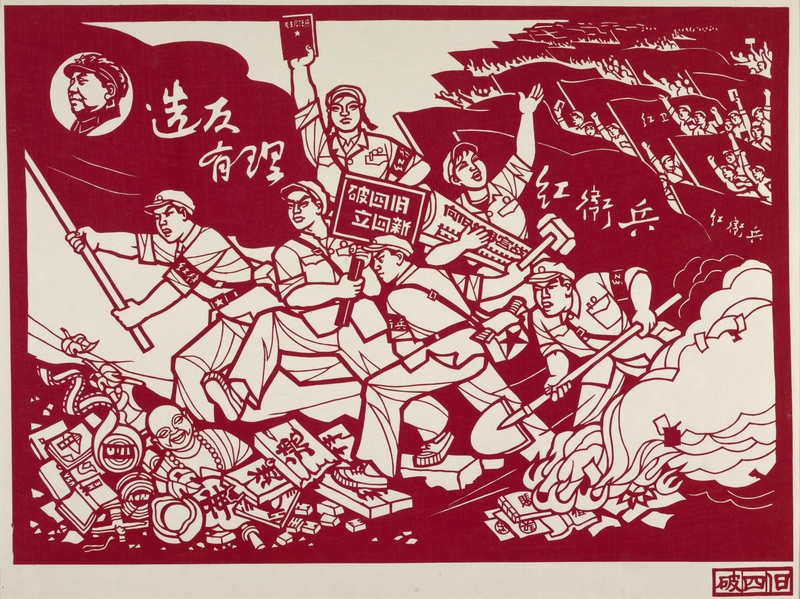 This Campaign was sparked because of the cultural revolution and the Red Guards. It was a very pro-revolutionary thing to do. This was the first time and US President visited China and it greatly improved relations with the US and ended 25 years of separation between the two countries. This is the first time America has seen any photo's of China in over two decades. 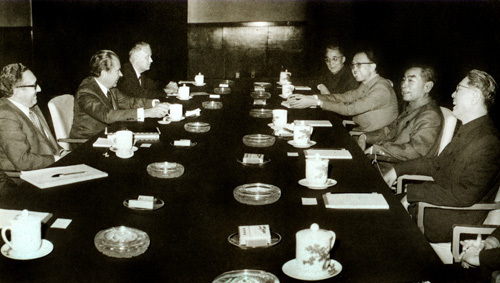 The Predident had a meeting with Mao Zedong and his wife was able to tour factories, schools and hospitals. Also whilst China and America were improving relations, China was shifting away from the Soviet Union and America (after some time) was of Tiwan. Nixon described this week as "The week that changed the world." Shanghai Communique between the United States and the People's Republic of China was very important because it improved diplomatic relations between the two countries and ended the hatred that the countries had for each other. It was signed by President Nixon whilst on his visit in China. The Great Leap Forward, was a era when Chairman Mao wanted to greatly increase China's steel and food industry. He wanted to motivate the massive population of China to do things more productively and catch and and pass other leading countries industries.